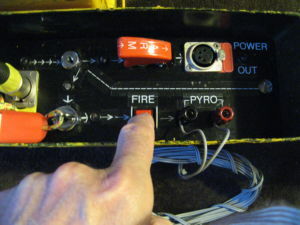 Box 2 – Turn the Arm Key clockwise to point to the arrow pointing to the Fire Key switch. 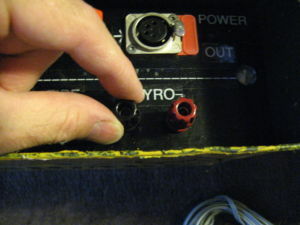 Box 2 – Remove the Arm Key. 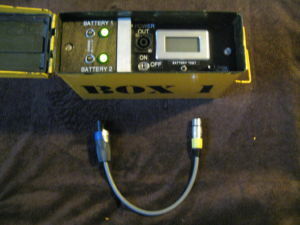 Put the connecting cable in to Box 2 and close the lid. 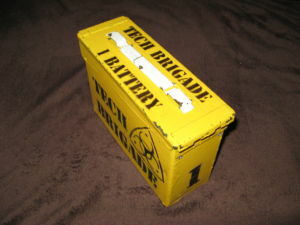 Also close the Lid on Box 1. 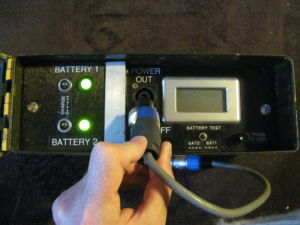 Both boxes can now be deployed in the game zone. 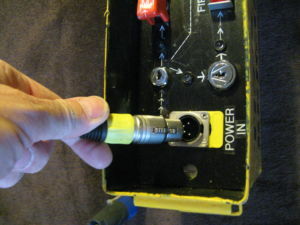 If the Firing Key for Box 2 isn’t being given to a nominated person then attach the key using it’s string to a handle on Box 2. 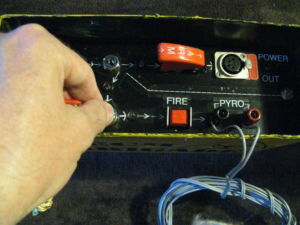 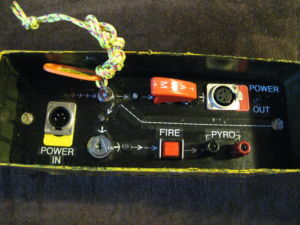 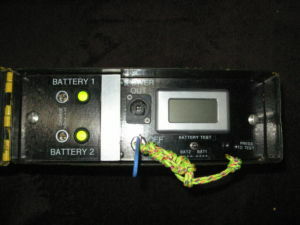 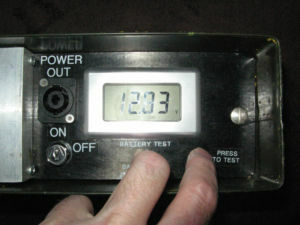 If Box 2 is being hooked up to the pyro device in the field then follow the next steps to connect it or demonstrate to a nominated adult how to if the connection is to be made as part of the mission. 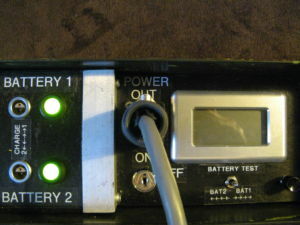 Box 2 – Unscrew one Terminal. 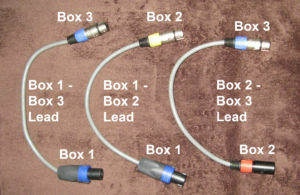 Box 2 – Strip the wire, Twist the ends and make a hook. 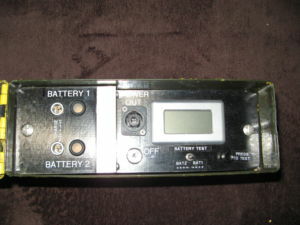 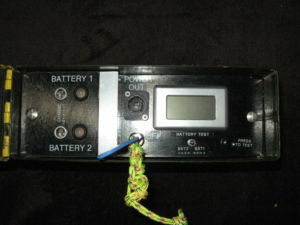 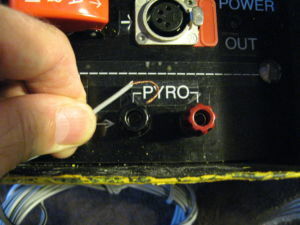 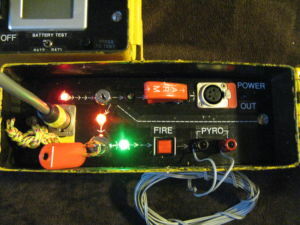 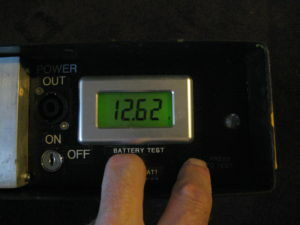 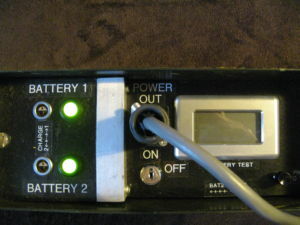 Box 2 – Hook the wire loop under the terminal. 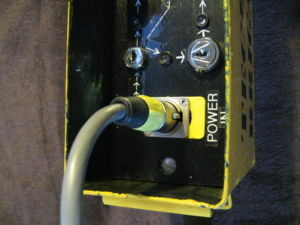 Box 2 – Screw the terminal cap back down firmly. 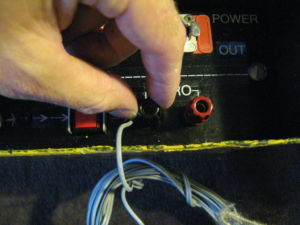 Box 2 – Repeat the previous steps for the other wire. 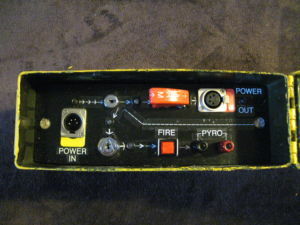 At this point the Firing Box is either in position and wired up in the field or is in the filed and can be taken to the firing point by a player who knows what to do when it gets there. 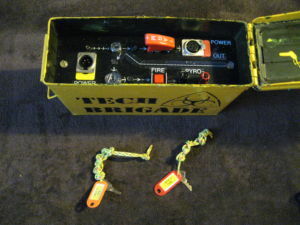 The game mission is then to locate either both boxes and take them to the firing point or find the Battery Box and take it to the Fire Box. 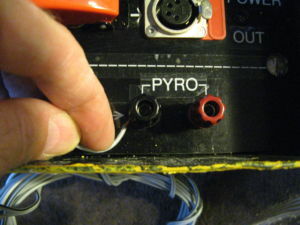 Either way the next step is to connect the two boxes together. 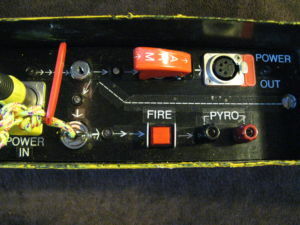 Box 2 – Insert Connector in to Fire Box. 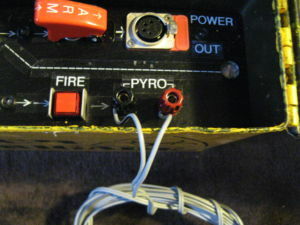 Box 2 – Connector inserted in to Fire Box. 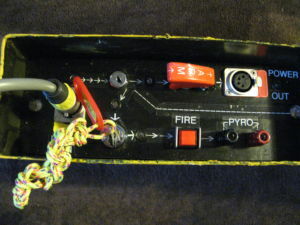 Only Turn the key to the Armed position when you are ready to set off the pyrotechnic deivce. 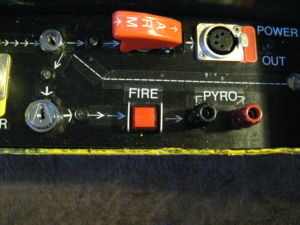 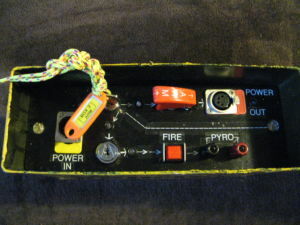 Press the “FIRE” Button to set off the pyrotechnic device. 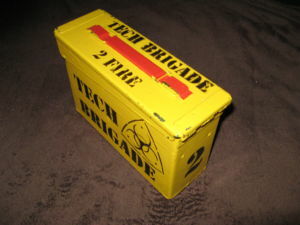 IMPORTANT: If for some reason the device doesn’t fire then shout “GAME OVER”, Retire to a safe distance and find one of the Tech Brigade Site Team and they will investigate the pyrotechnic device and make it safe.